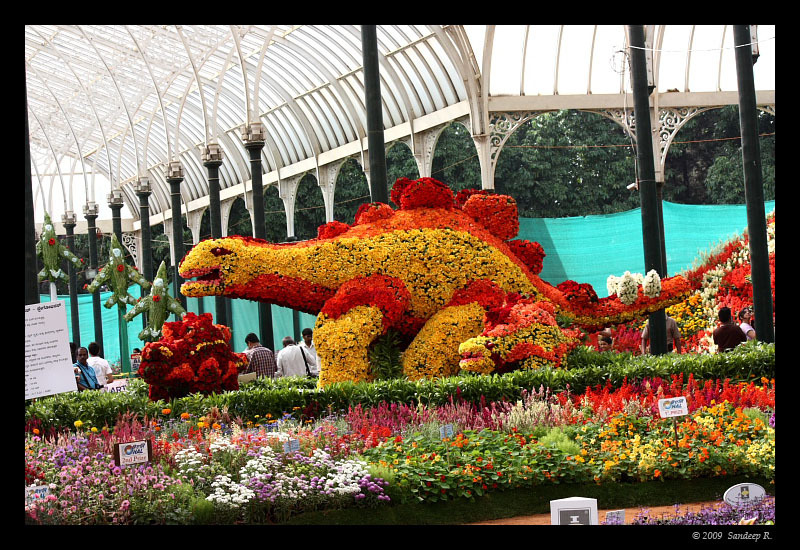 The biannual flower show at Lalbagh botanical gardens started on 7th August. I did a quick visit today morning. 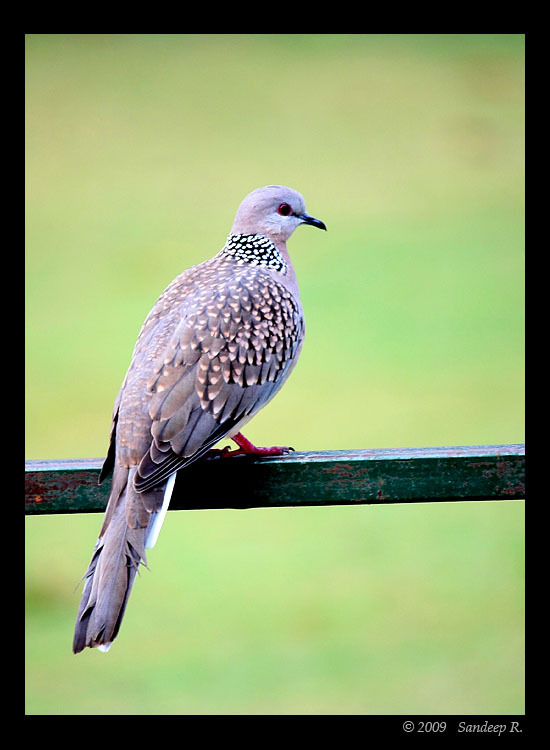 The focus was bird waching and hence reached there by about 6:30am. Walked around the lotus pond, and lake till about 9:30am. Then, went to the glass house. Crowd had gathered near the Glass house, and barged in as soon as they opened it. Apart from the usual varieties, few exotic species are also at display. I was keen on spotting owls, but i couldn’t find. 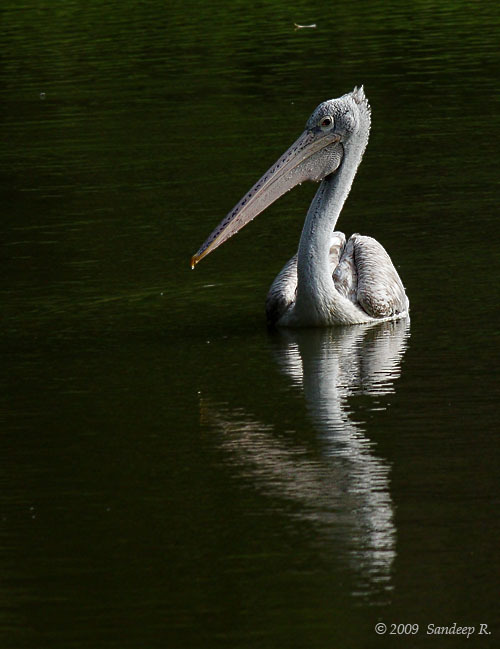 A pelican was lazing around in the lake and got to play around with exposure. Flower show is the main crowd puller. Except for the attractions such as Dinosaurs and Mermaids, nothing changes year on year. 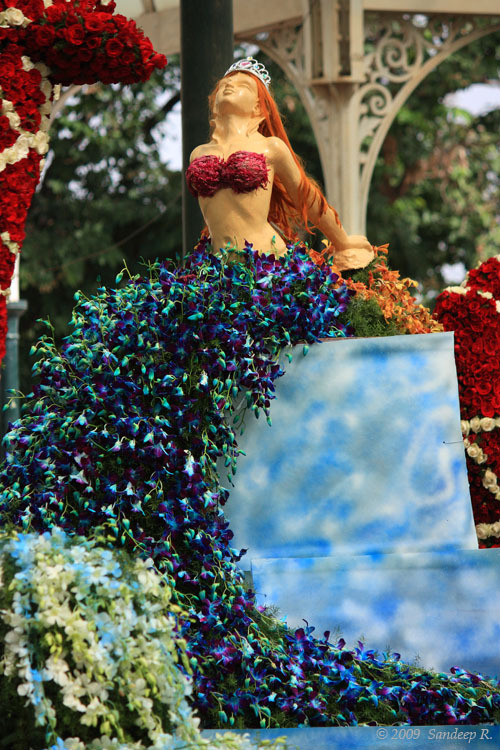 Read about last year’s flower show here. Prem wished he would rather go to Valley school. Prinias, Kites, Mynas, Crows, Cormorants, Pelican, Grebe, Doves, and Moorhen. Where does one find the wood owls and spotted owlets?! Deepa, any inputs? Panthera tigris and Panthera pardus are the two big cats in the southern Indian forests. Almost every visitor wants to see a tiger, but there are many who want to see only a tiger. On most days, the safari will be a chase for the the elusive Leopard, and the majestic Tiger. More so for the latter than the former. On June31st-July1st, surprisingly, there was only one guest, a young British girl. Her eagerness and excitement to see elephants and other animals was more than that to see a tiger. Learning that i had never seen a tiger in the wild, she wished me luck. We were driving out of the park, almost at the end of the morning safari. We were close to the highway. It was about 8:30am. A forest department safari van stood right in front. The driver flashed the headlights. 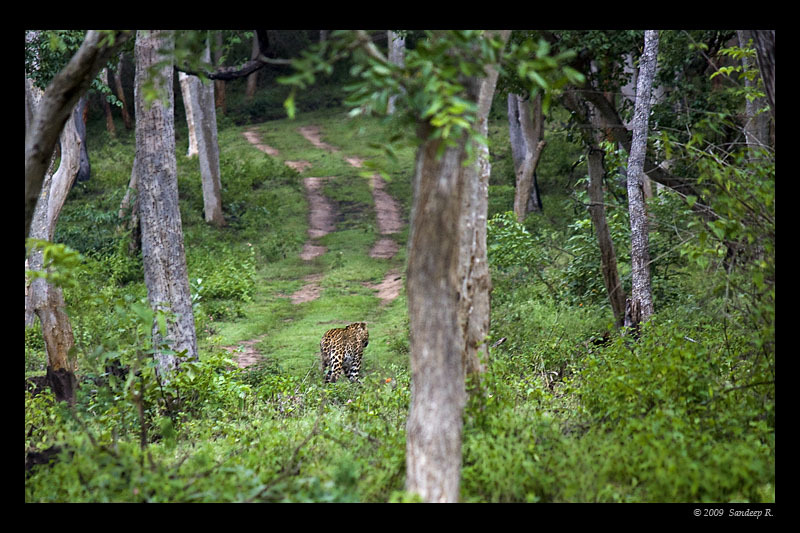 Kiran, JLR driver, stepped on the gas and at about 50mtrs we saw the tigress Gowri leading her 4 cubs. 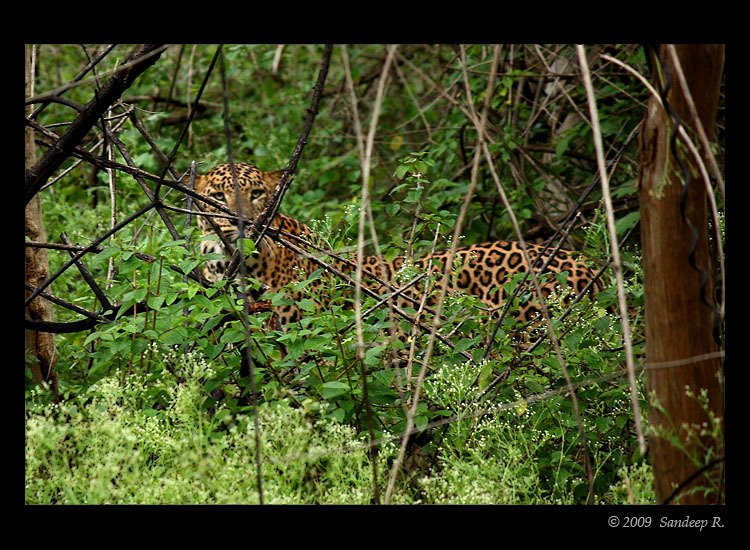 Kiran stopped the jeep instantly, and by the time i could clearly see, Gowri and one of her cubs had crossed. Other 3 cubs too were very swift. There was no time to get my camera out. I just enjoyed the sight of those wonderful cubs walking with their long tail held up. We tried to track her for nearly an hour after that, but no luck. 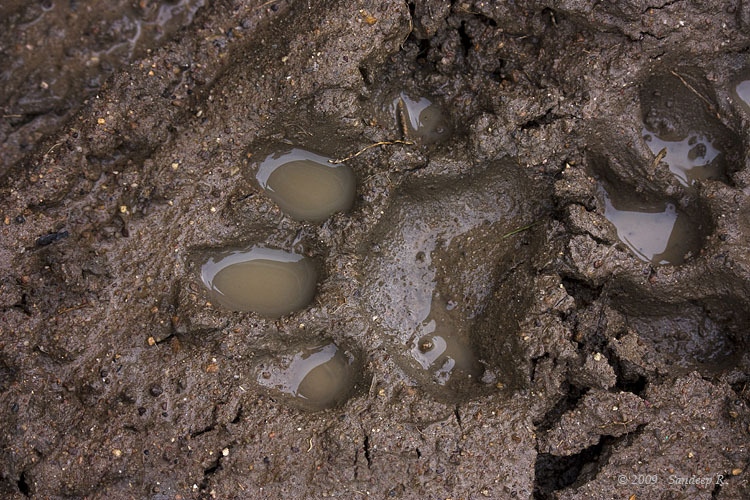 The expectation and disappointment was higher for the visitors who came after 1st of July, as the sightings board at the Pug Mark restaurant read ‘Tiger (Mother & 4 cubs) – 1st July – 8:30am – Minister Guthi road‘. At times, I wished to get a chance to photograph a big cat. It would be disappointing to go back without even a record shot. Once, we tracked a fresh pug mark (first image on the post) and drove in that direction. Just then, a forest department jeep came from the other side. The smile on driver’s face gave away what we had missed. Two minutes! It was the time for the last safari. I had accompanied two Indian-American guys on previous day. We had tracked alarm calls for nearly an hour, and then left the spot only to know, later in the night, driver Kiran, in another jeep, had spotted a tiger at the same spot, soon after we had left. I didn’t want to rub my bad luck on them again. I accompanied a family with two 10 year olds. I suggested Ramesh we first scan the Mularpura area instead of the other route we usually take. We were looking for wild dogs, and so were Krupakar-Senani. Nearly an hour into the safari, no sign of any predator. The guests were asking the question almost every visitor asked, Where is the tiger, When was the tiger seen last? 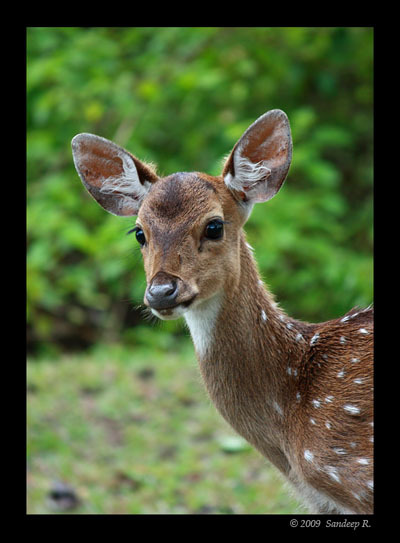 Just then, alarm calls of spotted deer. Ramesh bought the jeep to a halt and we scanned the area. Alarm calls got stronger. Deer started moving. Deer ran from one side to another. 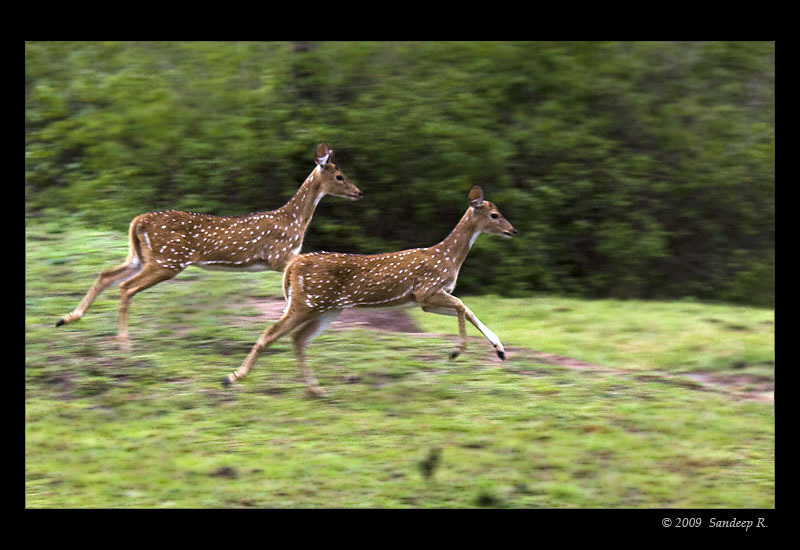 I had not seen a herd of spotted deer run so fast. 20 minutes flew past. Kids were getting edgy. Soon, herd settled down and started grazing again. Alarm calls subsided. There goes my last chance! Ramesh started the jeep, and Kiran’s jeep came from the other side, informed Kiran about the alarm calls and left. Our alertness had dropped a little. We had moved about 150 mtrs, and suddenly something big and yellow with black spots ran, in a flash, from one side of the track to the other. Ramesh yelled ‘Tiger!’ My mind said No.. spotted deer! Within a second, we utter in unison ‘Leopard!’ No one else in the jeep saw the leopard. It was huge. We took a left turn and stopped the jeep, hoping to see him again. Scanned the area for 10-15 minutes. No sign and no calls. Ramesh takes a u-turn. A jeep comes from the other side, and whirs past. We head back to the place where deer were grazing, and thought of going to another area. I didn’t want to miss the leopard, I said ‘let’s go back now‘. A U-turn and a left turn, we see the leopard walking at a distance. Guests missed again. Got into the jeep and drove towards the leopard, but he hid behind the bushes. I got on top of the bonnet of the jeep, and there he was staring straight at me. Standing on the bonnet without making any noise, hand holding the camera in the drizzle, i fired 3 shots at 1/30s keeping my shaky hands as steady as possible. I was waiting for him to move into more open area. He kept staring, and i kept waiting. Guests inside the jeep could barely see him, and their patience didn’t out last that of the leopard. A small noise and he ran behind bushes, not to be seen again. P.S. : Click on the images, color redention in smaller version doesn’t seem right. Larger images look better.